Stephanie Bodhi is Vice President of Marketing at Janus Henderson Investors. In this role, Ms. Bodhi is responsible for leading and overseeing the marketing strategy, tactics and implementation for the North American marketplace. 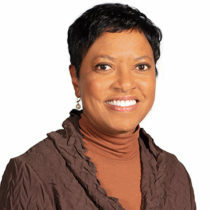 Prior to joining the firm, she served in marketing and business development roles for Pinnacol Assurance and Adventos. Ms. Bodhi received her BA in Communication and Education, as well as a business certificate, from the University of Colorado at Boulder. She also received her Master’s in Business Administration from the University of Denver Daniels College of Business. 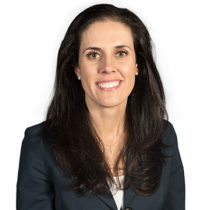 Erin Eiselein is a shareholder at Brownstein Hyatt Farber Schreck, LLP where she represents a wide variety of health care organizations on regulatory, compliance and dispute resolution matters. Erin has particular expertise in HIPAA and has authored a book on the subject. Throughout her career, community service and pro bono work has been an important part of Erin’s practice. She has served on the boards of 9Health Fair, Montessori School of Denver, Socially Conscious Coffee, and as a member of the Denver Foundation’s Health Advisory Committee. Erin also has worked as a volunteer attorney with the Rocky Mountain Children’s Law Center and the American Civil Liberties Union. She holds a BA from the University of Iowa and a JD from the University of Denver. Colleen Faddick's practice includes advising clients regarding the structure of and relationships among health care providers and entities within the complex federal and state regulatory environment. Colleen focuses on Medicare and Medicaid reimbursement and enrollment issues and appeals, fraud and abuse and self-referral law issues, licensing and certification of health care entities, clinical trial compliance and agreements for sponsors and providers, medical device payment and manufacturer relationships with physicians. Colleen works with hospitals, large physician groups, dialysis suppliers, medical device companies, pharmacies, clinical laboratories, DME companies, and other health care entities. 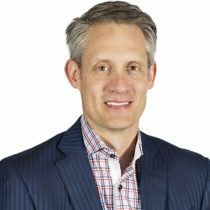 Eric Feagler is VP of America’s for General Electric Digital where he is responsible for sales strategy and execution of vertical and specialty sales in North and South America. Prior to joining GE, Eric was Executive Vice President of Client Solutions at Simple Energy, where he was responsible for building their global sales team and business strategy. He also spent 12 years at Microsoft in various Sales and Marketing leadership roles in China, Latin America, Canada and the corp headquarters. Most recently he was General Manager of Corporate Accounts Microsoft Canada where he had nationwide responsibility for leading all aspects of the business for Commercial and Public Sector customers. Eric started his career in the US Navy flying A-6’s until sustaining an SCI in a rock climbing accident in WA. He is a Craig Hospital alumni, is active in disabled sports and previously served on the board of Outdoors for All. Eric holds an MBA from Harvard Business School and a BS in Aerospace Engineering from the US Naval Academy. Karleen (Kari) Goerke is the Interim Director for Post Licensure Nursing Programs at the Loretto Heights School of Nursing at Regis University. Kari has been with Regis University since 2013 where she teaches a variety of leadership courses including healthcare policy, organizational leadership, and finance. She is a registered nurse with greater than 30 years’ experience. Prior to working at Regis University, she was in multiple clinical and leadership positions at Swedish Medical Center with the last ten years serving as the Chief Nursing Officer. She holds a Bachelor’s degree in Nursing from the University of Wyoming, a Master’s degree in Nursing Administration from Regis University, and is a candidate for an EdD – Organizational Leadership: Healthcare Administration. Kari has also served on several non-profit boards, most recently with Northern Colorado Catholic Charities. Ken Kelley grew up in Aspen, CO and has a BA from Colgate University in Hamilton, NY. He been employed at Unum for 32 years. He is currently Senior Account Executive in Unum’s Denver office. He is responsible for Unum’s consulting and regional broker relationships in CO, UT and WY, handling sales of group Life, Disability and Supplemental Benefit plans for clients and prospects of all sizes. He is also the large employer specialist for the Denver office’s territory, responsible for all sales and marketing activities for clients and prospects over 2,000 employees. Ken lives in Littleton, CO and is married with 5 children, 2 step children and 5 grandchildren. His oldest son is a Craig Hospital alumnus. Ken enjoys skiing, tennis and hiking. John Kurath has over 25 years of experience in the health insurance and healthcare financing industry. 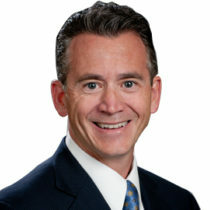 He is currently Vice President at Warner Pacific Insurance Services, a leading general agency. Warner Pacific partners with Colorado’s health plans to assist insurance agents and their customers with obtaining group and individual coverage. He has served in executive level positions at one of the nation’s largest health plans. He has also co-founded several companies in the human resources and insurance technology industries. He is the past President of the Colorado Group Insurance Association and has served as legislative chair for several trade associations. John grew up in Boulder, Colorado, attended Arizona State University, and graduated from the University of Colorado at Boulder. Robert W. Ladenburger is a retired healthcare executive who most recently served as President/CEO of Exempla Healthcare and Executive Vice President of Hospital Operations for SCL Health. Prior to this, he served as President/CEO of St. Mary’s Hospital in Grand Junction, CO and hospital leadership positions in Helena, MT and Salt Lake City, UT. Bob has served on numerous Boards including Chair of the Colorado Hospital Association, Trinity Health, Catholic Health Ministries, Denver Metro Chamber of Commerce and as a member of Colorado Forum. He has a BS in Pharmacy from the University of Kansas and an MBA from the University of Utah. 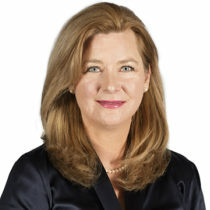 Gerry Lewis-Jenkins is Chief Operating Officer with COPIC where she focuses on market growth and expansion, legislative activities, and the oversight of departments such as Information Technology, Marketing & Communications, Sales, and Underwriting. Before joining COPIC, Gerry served as Executive Director of Humana Health Plans of Colorado. She also has a background as a registered nurse, with more than 15 years of experience in clinical and hospital management. 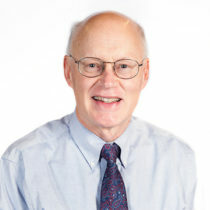 Gerry is a member of the Center for Bioethics and Humanities Advisory Board. She has served on the American Hospital Association’s (AHA) Committee on Governance as well as the board of directors for Platte Valley Medical Center and as the Chair of the board of directors for the Colorado Regional Health Information Organization (CORHIO). She holds a degree in Healthcare Administration and a master’s degree in Business Administration from Regis University. 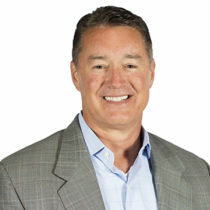 Todd D. Munson is Executive Vice President & Director of Commercial Banking for Vectra Bank. Prior to his affiliation with Vectra Bank, a wholly owned affiliate of Zions Bancorp, Todd worked for JP Morgan Chase from 1996 to 2017. For Chase he served in increasingly responsible roles including twelve years as the Colorado Market Manager, three years as President of the Greater Cincinnati, Ohio Region and two years as Market President of the Commonwealth of Kentucky. Todd serves on various non-profit boards in Denver. Todd has a Bachelor of Arts degree in Business Administration and Economics from Rollins College, Winter Park, FL. 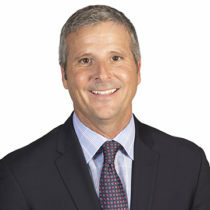 Todd also holds a Master’s degree in Finance from the Crummer School of Business at Rollins College, and has his Investment Banking Series 63,79 & 27 licenses. Molly Rauzi is a consultant and Chief Information Officer with the strategy execution firm Gagen MacDonald. Molly Rauzi brings her experience in systems management leading large, complex business transformation, culture and organizational change initiatives to the Craig Hospital Board of Directors. She advises on the governance of corporate functions and shared services across the enterprise. 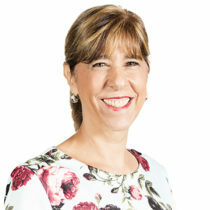 Her experience and insights have helped numerous organizations ready their workforces for the many changes new technologies, new business models and new strategies bring. 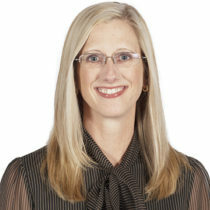 Prior to joining Gagen MacDonald, Molly was Managing Director leading the Business Advisory Services Practice in the Denver office of Grant Thornton LLP. 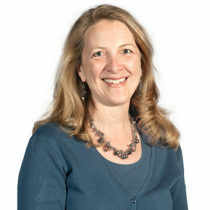 Molly served as an appointee of then Mayor John Hickenlooper (now the Governor of Colorado) as the Chief Information Officer for the City and County of Denver. Before working for the Mayor of Denver, Molly served as the Director of Technology for Denver International Airport. 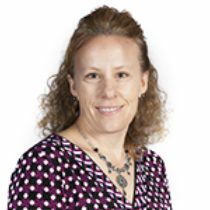 Molly also serves on the board of the Colorado Technology Association and NewCloud Networks.